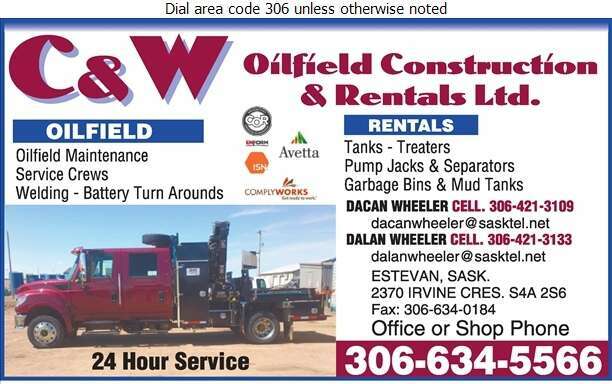 Serving Estevan and area, C & W Oilfield Construction & Rental Ltd. offers 24 hour service. 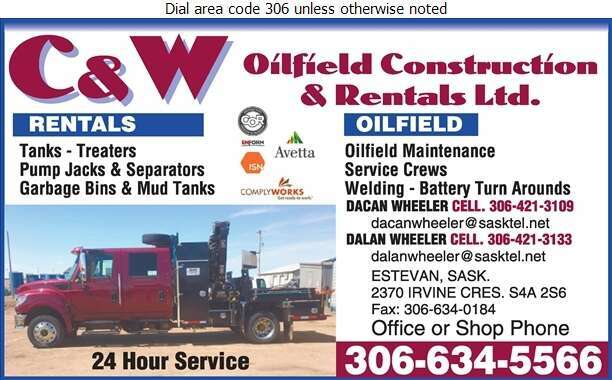 We specialize in oilfield construction, general maintenance, welding and cat work. Rentals are also available on tanks, treater, pump jacks, separators, garbage bins and mud tanks. Our professional teams are properly trained and certified. We are ready to help you!